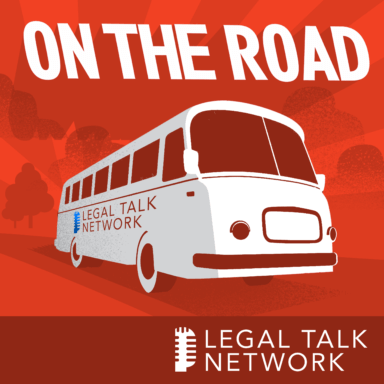 Legal Talk Network producer Laurence Colletti interviews Judge Michelle Sisco, Annette Pitts, and Richard Levenstein about the Constitutional Judiciary Committee and the Benchmark Civics Education Program at the 2015 Florida Bar Annual Convention. They discuss the seminar ‘Benchmarks: Raising the Bar on Civics Education’ and how similar activities are implemented throughout Florida. The Benchmark program is designed to provide nonpartisan education about the judicial process to the public. The Florida Bar’s Constitutional Judiciary Committee, although initially created as a voice in the media for judges in the Terri Schiavo case, now focuses on public education and awareness of major government structures. Annette Pitts runs the Florida Law Related Education Association, a nonpartisan civic education nonprofit doing adult- and student-based civic education for 31 years. Annette has worked in 25 different countries and last year won the Sandra Day O’Connor Award for advancements in civic education. Richard Levenstein practices law in Stuart, Florida. He is the past vice chair of the Constitutional Judiciary Committee and a charter original member of the committee. He is an incoming vice chair of The Florida Bar’s Law Related Education Committee. He has been involved with the civics education on the adult side and student side for 10 years.